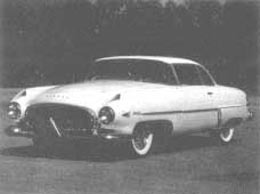 In 1952, the Hudson Motor Car Company was in the throes of their biggest postwar gamble, the Hudson Jet. Their chief styling designer, Frank Spring, had been given this assignment. 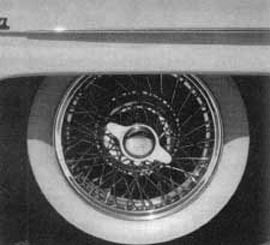 Mr. Spring had left Murphy body for Hudson in the 30's and had been instrumental in winning the company the styling award for 1948 with their famous unibody "Step Down" design which contemporary auto makers all have since adopted. Because of financial restraints along with top management's outmoded policies, Mr. Spring's original design for the new Jet was so altered that the final outcome was boxy and homely. The main competition to Nash's Rambler in the compact market was doomed from the start, eventually leading to Hudson's financial demise in 1954. Mr. Spring was so upset at what had been done to his design that serious consideration was given to his departure from the company. In order to placate him the decision was made to allow him to "play" with a design for an Experimental Sports Car. The company also intended to test public reaction to some rather radical styling concepts that might be used later in the decade. Frank worked closely with Carlo Felice Bianchi Anderloni, chief designer of Touring Body Works of Milan, Italy. 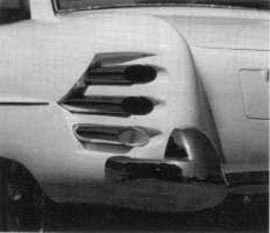 Using the Jet chassis, they had the all-aluminum prototype finished and ready to display at dealerships across the country by late 1953.The public was enthusiastic about the car, and permission was soon given to build a second experimental car on a full sized Hornet chassis. The design was similar, but the proportions never seeme suited to 4 doors and the bigger size. Soon after, Hudson commissioned Touring to build what is believed to have been 50 of the smaller cars, then dubbed the "Super Jet", and sent the needed components over to Italy. The first run of cars consisted of 10 units. 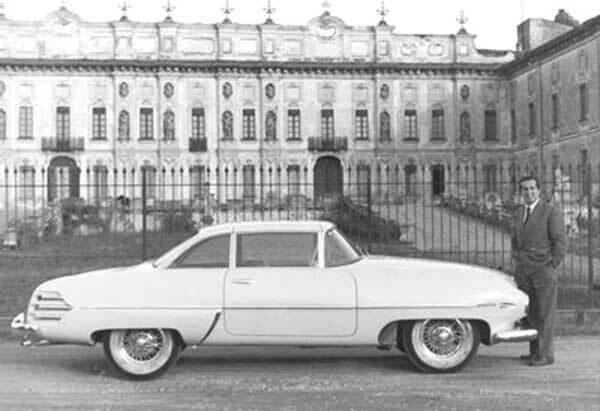 Small changes were made in the first several cars, but by serial # IT 10003 the cars remained consistent and all carried their new name, Hudson Italia. Bankruptcy and subsequent merger with Nash ended H.M.C. 'S commitment to Touring. Any further dealings would have to be made by Touring with the newly formed American Motors. A.M.C. sent letters to all its Hudson dealers announcing that it would take pre-paid orders from customers for the cars remaining in Italy. A deadline was set. Unfortunately, in those days, nobody wanted what was perceived as a loser. When an auto company went broke, their remaining cars depreciated at an alarming rate. 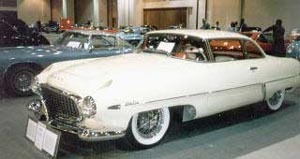 Since the Italia was virtually a 1953 Hudson Jet mechanically, and it commanded a price of more than a Cadillac, orders were almost nonexistent by that deadline, and A.M.C. only committed to have another 15 Italias built. Most of these were sold to the more eccentric customers who lived in the So. Calif. area. Amazingly, of the 26 that were built, 21 have been found to date. It is interesting to note that all but one of the missing 5 are in serial numbers 5 through 10. The two in this group that have surfaced are both in Europe, leading speculation that these 6 cars were never delivered to America. It could have had something to do with Hudson's bankruptcy. This picture was taken in Italy in 1953. This Italia had just been rolled out of the factory shown in the backgrand. Note that the whitewalls are not yet clean. 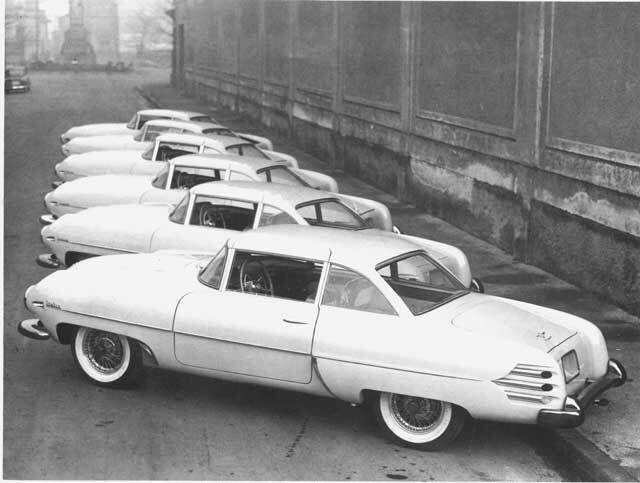 This is another factory photo of six Italias lined up awaiting shipment to the U.S. Since only 26 were built over a three year period, this is undoubtedly the largest assemblage of Italias ever.